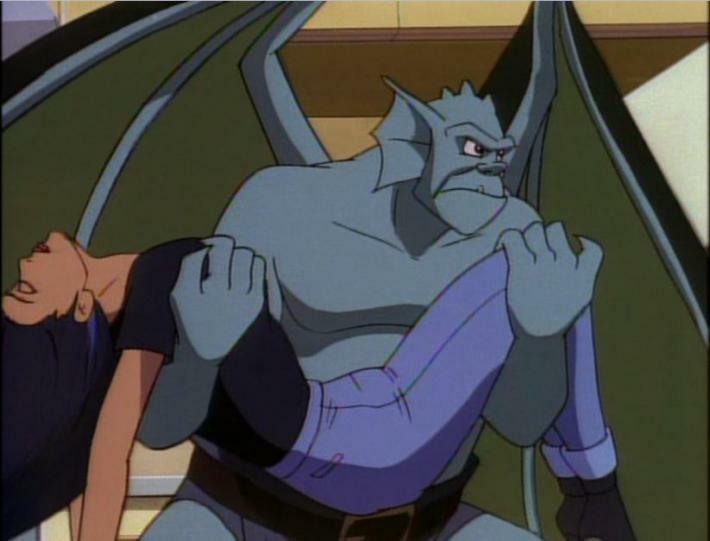 We end Season 1 of Gargoyles with the 13th and Final Episode of the season, “Reawakening.” This is a great episode for many reasons, as it brings together the loose threads from a few of the stories, gives a hint of things to come and establishes a higher purpose and point. Suffice to say it is amazing and a favorite. Also, Michael Dorn (Worf from “Star Trek”) guest stars in this as Coldstone. “Reawakening” was written by Brynne Chandler Reaves and directed by Saburo Hashimoto and Kazuo Terada. 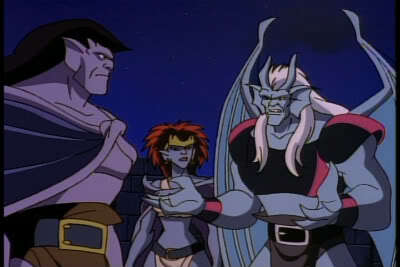 The story is that Demona uses magic and Xanatos uses technology to ressurect Coldstone into a cyborg gargoyle body. From here they use him as Demona blames Goliath for the extinction of the Wyvern Clan from the vikings. Ashamed of his form and feeling hatred Coldstone joins with them as they target Goliath and the Manhattan Clan in a final showdown. From here the story unfolds. The Pros: Coldstone – Michael Dorn is an amazing actor and voice actor and he has the chance to play a complex gargoyle who was once Goliath’s Rookery Brother. You see how conflicted he is after Demona gives him the half-truth of the Vikings killing of him being Goliath’s doing and we see him choose to live rather than survive when he finds that all Demona is offering him is survival, which is no way for a gargoyle to be. We understand his distrust of humans too as the Sorcerer runs in fear of them from the castle tower in the flashback. Demona – We see that hatred once again dominates her feelings as she shoots to kill at all times, even when Xanatos tells her he wants the Gargoyles alive. We also see her influence as she easily makes Coldstone their pawn when the episode begins. She would have killed more people too if Xanatos hadn’t used the rocket pack in the Red Steel Clan suit to run off with her after the battle. She shoots Coldstone and feels nothing, showing just how far gone she’s become. Brooklyn – We see his hatred for Demona here for being used as a incapacitates her at the beginning of the fight, but still sees the bigger picture as he and Lexington save Broadway from the Steel Clan. Lexington – Manages to take out two Steel Clan members through his wits and teams up to save Broadway from Xanatos. He is finding his confidence and how to use his small size to his advantage. Elisa Maza – Grabs Hudson and Bronx and turns the tied against Demona and Xanatos, forcing them to run away. She also helps Goliath and the Gargoyles find their purpose once more as defenders once more. Xanatos – Xanatos changes in this episode as he sees that he is working with someone he shouldn’t be as she doesn’t listen and is only after retribution where he is thinking long term. It’s powerful when he surrenders and reveals himself beneath the Red Steel Clan helmet as the Gargoyles didn’t know he’d been fighting with his robots and when he makes the escape rather than standing and fighting you see in his eyes him rethinking the whole of the situation. He also has a comedic laughing moment where he says “It’s alive! It’s alive!” When they ressurect Coldstone, which was something he always wanted to say. The Message – Look beyond yourself and look out for other people, do not hate those who are different but strive always for good. Protect. This the gargoyle way and is expressed fully in this episode. Okay: Broadway and Hudson – They are there in the final battle, but Broadway needs to be saved and Hudson tells us what we already learned from Detective Maza. They aren’t bad, just redundant as all needed rescuing at one time or another and Detective Maza already gave us the message much better than Hudson. This is an amazing episode, the only thing that is left in the air is if Coldstone is now undead so cannot die, what do Xanatos and Demona plan to do now? Where is Macbeth? These questions leave so much open for Season 2, which I remember Season 2 exploring quite well. Will see first hand when I get to it, for now we’re taking a break from “Gargoyles” and ending on a high note, as this season did. What compelling villains and characters and what great stories and messages…These are the things that made this show memorable beyond the premise, art and voice actors. This is a season I plan to watch again, as these stories are timeless. Timeless, as Gargoyles made of stone. Final Score for the Finale: 10 / 10. I just wish it had been longer and been a two-parter to give us more time with Coldstone and more development for Broadway and Hudson. “Gargoyles” season 1 was pretty short. Episode 12 is the penultimate episode of the season and is a good episode, but at the same time doesn’t have the high stakes that usually come with an episode like this. It does have a good theme though, that I’ll cover in the review. “Her Brother’s Keeper” was written by Michael Reaves and directed by Takamitsu Kawamura and Kazuo Terada. 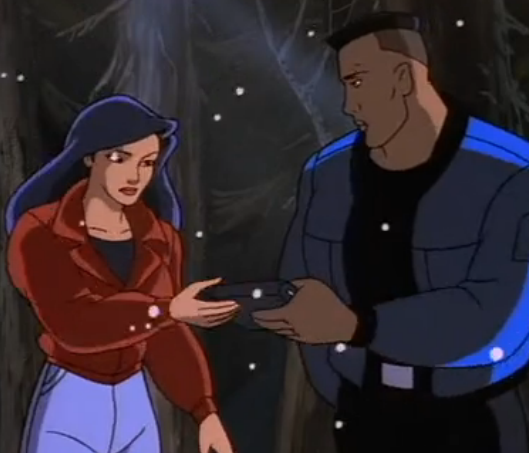 The story involves Elise and her relationship to her brother Derek as Derek decides to work for Xanatos after Xanatos saves his life during a robbery by Jackal and Hyena (the siblings in the pack) during this time too the new location is causing tension between the younger members of Clan Manhattan (Brooklyn, Broadway and Lexington) and these factors all come into play at the story unfolds. The Pros: Elisa Maza – She drives the story and she does it easily. She is concerned for her brother and is looking out for him, though in this episode she learns to let him make his own choices too, which is a good lesson any family can learn. Derek Maza – You get why he wants to leave the police force as it is wholly defined by his family and Xanatos sets up a situation where he is a hero. Who wouldn’t fall for Xanatos? You also see that Xanatos treats him well on the job and challenges him to better himself. Lexington, Broadway and Brooklyn – We see them fight like siblings, first over a video game flight simulator and later over trying to catch Jackal and Hyena. Broadway manages to fix up the Pack’s helicopter and make it theirs which comes in handy in the final fight against Hyena and Jackal and it ends with the brothers making up. Hyena and Jackal – The two are siblings with Jackal being the calmer of the too and Hyena as the savage adrenaline junky wanting to kill. They are driven by the need to be powerful to some degree as Xanatos is mocked by them for his wealth and they latch onto the need for revenge for being stopped in stealing the jewel immediately. They are good antagonists in this and we see that their sibling relationship balances them out. Fox – Knows the pack is working for Xanatos and admires him greatly. She lets Elisa Maza know about the set-up because she knows how untouchable Xanatos is and that Elisa is far out gunned. You see why she was Wolf’s second in command as she is good at seeing the big picture. 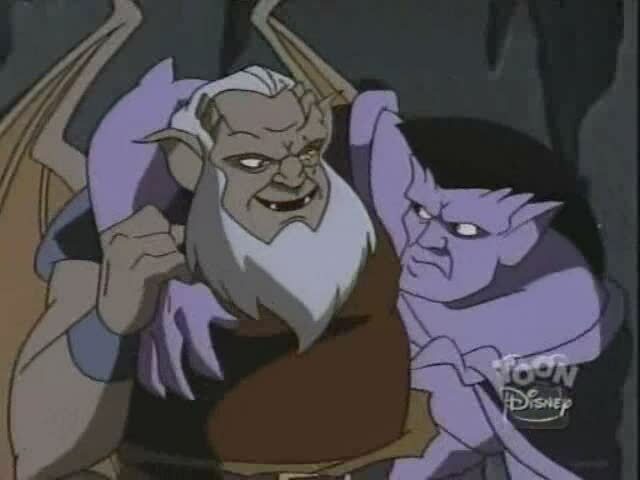 Xanatos – Xanatos get’s one of the Mazas as a bodyguard through his adept manipulations and manages to test Hyena and Jackal as dependable or not against the Gargoyles. He wins this entire episode once again showing why he is the best villain in this series when it comes to planning and traps and having them payoff to his advantage. Xanatos doesn’t lose. Okay: Goliath – He’s just there telling Elisa that she needs to tell Derek the entire truth about them and in the final fight in the copter. He is just kind of there, but not used negatively at least. He is the one who tells them to value each other too as he lost all of his family when the Wyvern Clan was destroyed. This episode does a lot and manages to accomplish a lot of it at least. Derek knows about the gargoyles, him and Elisa resolve their differences and the young members of the Manhattan Clan do the same. It’s a good episode on the importance of family and more on how Xanatos rocks as an enemy. Final Score: 8.8 / 10. Really good. This is a good episode that explores the threat of Demona, the Gargoyles’ past and Hudson’s backstory. The episode was written by Brynne Chandler Reaves and directed by Takamitsu Kawamura and Kazuo Terada. The story begins with an attack on Elisa Maza in her home with a poison dart that she survives but lets Goliath know that Demona wants to meet him to give the antidote for the poison. So Goliath doesn’t know Elisa survived he goes with Hudson to the meeting point but is wounded mortally by Demona. It is than up to Hudson to defend Goliath until morning and he does so by giving Goliath strength be recounting when he, Demona and Goliath fought against the Archmage who poisoned the Scottish Prince. The Pros: Hudson – This is Hudson’s episode and it is where we learn he lead the Wyvern Clan until that day against the Archmage, where it was Demona and Goliath who were able to stop him and not Hudson the leader. He returns the favor this time by protecting Goliath until morning as Demona hunts them through the sewers and a graveyard. We see how patient he is and his devotion to Goliath who makes Clan leader after the battle against the Archmage. Ed Asner owns this role. Goliath – This is where we see Goliath’s devotion to his mentor, as he asks Hudson to save himself multiple times and denies becoming Clan leader until Hudson insists in the past. We learn also that Goliath still has feeling for Demona and will not even think about killing her. Demona – Demona is a great antagonist in this…we see how consumed by power she is as she tries to convince Hudson to join her and to kill Goliath once more for defending humanity. She is a great predator though and mortally wounds Goliath and would have won the battle if not for Hudson’s stalling until morning so Goliath could heal. She is one of their greatest enemies for certain and Marina Sirtis does a fantastic job once more. Okay: The Scots – In this episode we meet the Archmage, the Prince the Princess who grows up distrusting the gargoyles because Hudson couldn’t protect her father from the Archmage and the Sorcerer who mention that they need the Grimorum to save the Prince. They are all okay, but none are super memorable. The Archmage is just mad and the Prince is just kind. There isn’t much there beyond characters of Hudson’s backstory. This episode was great, it was wonderful to finally see Hudson in action, Demona as a threat once more and more of the past of their time as the Wyvern Clan and the history tied to it. I recommend this episode for sure. 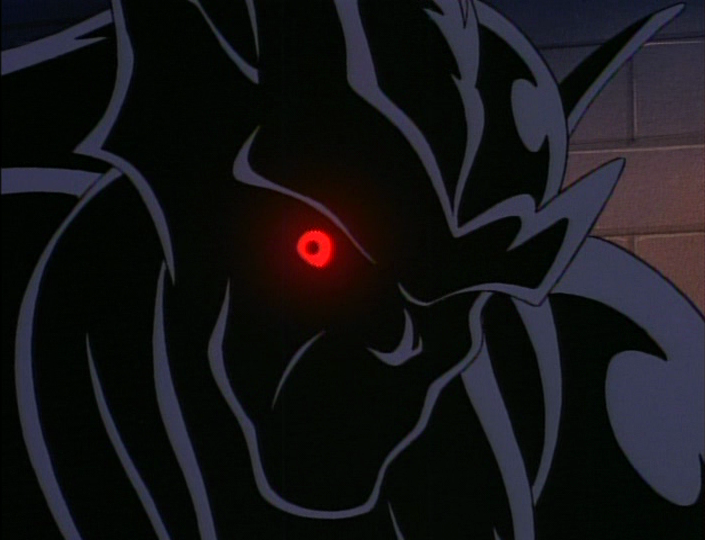 We continue our review of “Gargoyles” with the 10th episode in Season 1, “The Edge.” “The Edge” was written by Michael Reaves and directed by Saburo Hashimoto and Kazuo Terada. The story involves Xantatos being free from prison and is plot as he gives a Jewel to the city called the “Eye of Odin,” but later has it stolen by members of the Steel Clan (his robot gargoyles) to frame the gargoyles and turn the city against them. From here the story unfolds as the Steel Clan targets Goliath and his Clan when they are investigating the robbery and returning home. The Pros: Goliath – Goliath is great in this episode, as we see his anger issues but how in the end he does see the big picture…whether it is staying to fight the Steel Clan so they won’t find their new home or not killing Xanatos, knowing it would turn the city against them for good and they’d have no way to clear their names. We see that alone the Red Steel Clan member is overpowering him and it is only when he figures out that Broadway, Brooklyn, Lexington all work together they can defeat the Steel Clan. Brooklyn, Lexington, Broadway – These three show team work in this episode as they outmatch the Steel Clan as far as numbers go, but individually the Steel Clan are more powerful. This is where we see Broadway think to use one of the arms from a dead Steel Clan member to stab through another while Brooklyn distracts it. It’s a pretty cool fight. 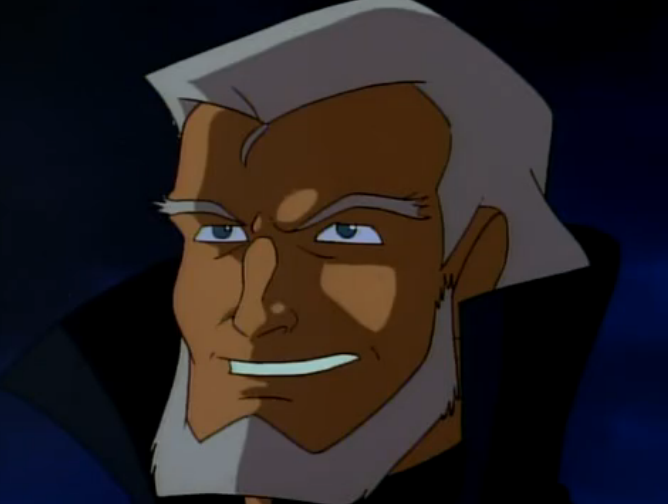 Xanatos – Xanatos’s pride is the theme of this episode as it begins with Owen defeating him in a fight and him being glad he was since if he was given victory he wouldn’t have to earn it. We see how this affects his pride though as when he’s insulted at the giving of the “Eye of Odin” he steals it back out of spite and to test the Gargoyles and himself. We see that he is the Red Steel Clan leader and went out to fight to prove to himself he was still a great threat as he was defeating Goliath through most of the battle and only ran away when the other two Steel Clan members were defeated and he was outnumbered. He learned that the gargoyles were getting smarter and learning to work together, and that he could still defeat Goliath on his own if it came to that. This episode shows his pride as an asset as it strives to make him better. Okay: The Steel Clan – The fact that Xanatos was leading them is cool, but the fact that they were once again identical didn’t make them interesting. 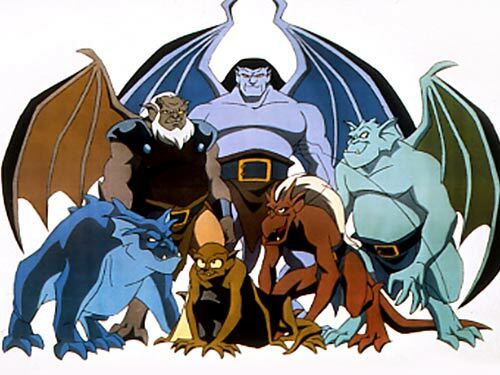 Xanatos was the only one that was unique which missed out that the Gargoyles succeed because of their diversity and skills. I hope Xanatos realizes that after this episode. This was a good episode, though in my opinion, most Xanatos centered episodes tend to be. He is an intriguing villain and in this episode we see how pride defines him. Pride makes him spiteful and wanting to improve himself. He is an antagonist who learns from his mistakes and is willing to get in the thick of things to learn first hand, which I have to respect. Final Score: 9 / 10. It was great. “Enter Macbeth” is a great episode for a lot of reasons. Most of which I’ll get into in the assessment. One thing that does make it amazing though, is how it took a Shakespeare character and did something amazing with him, making him a character that fits and contributes to the lore of this Universe. The episode was written by Steve Perry and directed by Kazuo Terada and Saburo Hashimoto. It is the 8th episode of the 1st season. The story involves Macbeth approaching Xanatos and prison and letting him and Owen know that he knows about the gargoyle threat and that he can defeat them as he’s defeated them before. While this is going on a recovering Detective Maza is trying to convince Goliath they have to leave which he is resisting as the Castle is the home he’s known all his life and out of all of them, he’s the most resistant to change. Things come to a head though when Lexington, Brooklyn and Bronx are captured by Macbeth and Goliath must rescue them. The story unfolds from there. The Pros: Goliath – Goliath is tradition and the base for the gargoyles, it is why he’s the leader, as he isn’t the oldest…Hudson is. We see that he leaves no one behind though as he fights and defeats Macbeth in his own home and mocks Macbeth when he learns Macbeth captured them so he could get revenge on Demona. On the reveal that Demona doesn’t care about them, he loses it. In the fight Macbeth’s home is burned to the ground but he Goliath is forced to admit when Broadway and Maza convince him that the Castle is no longer their’s as Xanatos is free from prison and Macbeth is still out there. He does promise Owen that they’ll be back though. Lexington – We see his brains at work again as he is able to sap the power from the cages to have Bronx break out of his cage and get Goliath to save them. Brooklyn – Is comedic relief and good in this episode as he keeps annoying Lexington by electrocuting his finger on the cage until Lexington can come up with a plan. Broadway – Sees the big picture and plays a part in convincing Goliath they need to leave the Castle, which makes sense since he is the gargoyle most of the current time period. Detective Maza – Sees the big picture, fights Macbeth briefly when injured and is largely the reason Goliath gives in to them finding a new home. She also finds them a new home in the Clocktower. Macbeth – Voiced by John Rhys-Davies of “Lord of the Rings” and “Indiana Jones” fame he owns this role. He is a compelling antagonist who is immortal though we don’t know why…and extremely intelligent as he uses technology and his strength to defeat the gargoyles. He also manages to escape from Goliath’s wrath. The Ending – Things have changed…Xanatos is free, the gargoyles have changed homes, Detective Maza is still injured and recovering from being shot, and Macbeth is on the scene and a new player in the game against the gargoyles. Okay – What we Know about Macbeth – We know he knows Demona and gave her her name, but we don’t know why he hates the gargoyles or how he is still alive after all these years. It’s not a bad thing, but a little more about him would have served the story better. I recommend this episode for sure, and it is a favorite, even though it isn’t perfect. Macbeth is a great antagonist, and with Xanatos free and the gargoyles changing homes…we see that actions from prior episodes have consequences. It’s nice seeing that the gargoyles came from Ancient Scotland put to good use and have Macbeth be from that time period and their world. Final Score for this episode: 9.5 / 10. Definitely a favorite. We continue our review of our “Gargoyles” with Episode 8 in Season 1, “Deadly Force.” The episode was written by Michael Reaves and directed by Saburo Hashimoto and Kazuo Terada. The story revolves around Broadway who accidentally shoots Detective Maza when she is in the middle of investigating Dracon and his thugs who stole Xantatos’s high tech. weapons to sell. Not knowing that Broadway was the one responsible Goliath goes on a rampage to bring Dracon to justice. The Pros: Broadway – This is Broadway’s episode and him learning to be careful as he is the gargoyle who acts mostly from instinct, whether with jokes or eating. He experiences the consequences of not being careful and thinking when he shoots Maza but out of guilt begins targeting thieves who are using the weapons Dracon and his thugs stole from Xanatos. This leads him to the area where the selling is happening and ends with him confessing that he shot Maza by accident. Goliath and Maza later forgive him and you get how much his mistake has eaten at him throughout the episode. Detective Maza – We see her idealism here (threatening to take out Dracon and his goons), kindness (cooking a steak for Broadway and forgiving him) and this is the one time where she makes mistakes too as she left her gun out. She is great in this episode, even if it isn’t for that long. 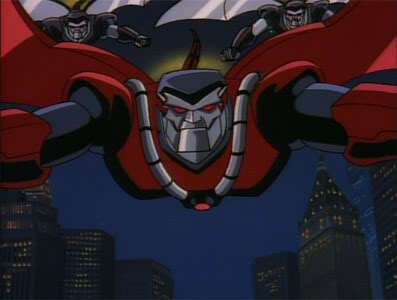 Goliath – The avenging Angel, we see him destroy Dracon and later destroy Xanatos’s weapons as he wants to keep dangerous weapons off the street. We also see his hard side as it is difficult for him to forgive Broadway initially. The Message – Only responsible people should use guns, and gun safety is important as you can’t predict who may use it (Broadway) and cause something bad to happen. It’s a clear and good message that is pretty apolitical. Okay: Dracon – He’s a confident thug who knows he’s untouchable…until he’s not. He’s not bad but he isn’t super memorable either. This was a good episode, I wouldn’t call it great, but the fact that it showed gun violence in a kid’s show…originally they edited out Detective Maza in her own blood, but I’m glad it is back as it shows just how serious and dangerous guns can be. I recommend this episode for sure, it is good even if it isn’t a favorite. Final Score: 8.5 / 10. Good message, not so memorable baddie. We continue the “Gargoyles” review with “Temptation” the 7th Episode of the 1st Season. This episode was written by Brynne Chandler Reaves and directed by Kazuo Terada and Saburo Hashimoto. This story is based around Brooklyn as we see how much he enjoys feeling cool when Lexington fixes up a bike and he decides to ride it and join a biker gang. When the gang sees what he is they turn on him and it is only because of Demona’s involvement he is rescued. She than shows him the darker side of humanity and tells him that Goliath must understand this or else they’ll all be destroyed as Detective Maza is the only good human, the exception to the rule of them all being bad. From here the story unfolds as she has Brooklyn get the Magus’s Grimorum Arcanorum for her. The Pros: Brooklyn – Brooklyn is one of my favorite gargoyles, I love his design and how reptilian he looks and his personality as he can go from confident and goofy to threatening in an instant. In this one we see his desire to fit in shut down by the biker gang and how charismatic Demona is, she takes responsibility for trying to kill him but says he should listen to her because she saved his life. We see that Brooklyn cares about his clan a lot and will do anything to protect them even if it involves lying to Goliath. He is not completely naive though as when Demona possesses Goliath with a spell he steals the book back and stops her. He doesn’t trust people but he trusts Detective Maza, especially after she frees Goliath from the spell. Demona – Demona once again shows why she is such an amazing baddie. She manipulates Brooklyn, saves his life and she truly believes that if the Gargoyles follow her, willingly or no she will be able to save them all from humanity, as to her all humanity is evil. She manages to posses Goliath and only loses at the very end, but still manages to escape to fight and plot another day. Goliath – Shows why he’s the leader as he understands why Brookyln fell for Demona’s ideals as it was a half-truth. Detective Maza – Saves the day as she is the one who figures out that breaking the spell involves ordering the person to be how they were if they were not under a spell to follow orders. It is kind of simple and brilliant. Con: Demona’s targeting of the Gargoyles – Again, I didn’t like this. She was able to convince Brooklyn, I really wanted her to try and convince Goliath and the others the same way. She is most powerful when she is trying to empathize and explain. It’s what makes her such a great villain. I loved this episode and would recommend it. Even with Demona targeting her own kind it is still great at showing her manipulative streak and where she is coming from in her hatred and distrust of humanity. It’s a very strong character episode for Brooklyn too.